A SPECIAL Quick Shear event to raise funds for well-known Clunes district shearer Anthony ‘Bushy’ Hill will be held at the town’s show ground on December 8. 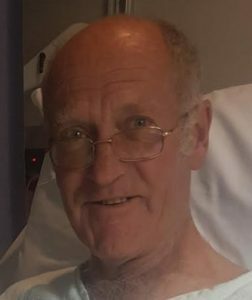 The 65-year-old was shearing up until a few months before he was diagnosed with Motor Neurone Disease this year. The Michael Manion Wool Industry Foundation has donated $10,000 to his cause, but Bushy’s shearing mates, family and community members will rally next weekend to raise further funds at ‘Bushy’s Cut-out’. Clunes and District Agricultural Society president John Drifa said he worked with Bushy as a shearer for about 10 years. Mr Drifa said the care of Bushy would require some adjustment to his house and vehicle and other medical expenses. 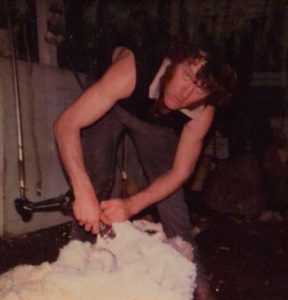 Bushy’s shearing career spanned 49 years and he was respected as a quick clean shearer. Bushy and wife Andy are foster parents of four of their grandchildren. Matilda and Jaiden are in secondary school and Ameekah and Brandon attend the Clunes Primary School. This year Bushy became aware of discomfort in his left arm and in particular his elbow. Initially this was diagnosed as a pinched nerve in his elbow, but it worsened until he could shear with only one arm. Further medical investigation led to a diagnosis of MND. The disease has aggressively reduced Bushy’s mobility and drastically changed his future. A Quick Shear event will be held from 1pm at the Clunes Showground on 8 December, with funds raised going to Bushy’s battle with MND and to the family’s future commitments. Tony ‘Bushy’ Hill shearing as a young man. Victoria Wool Processors trading manager Paul Ferranato, from the Michael Manion Wool Industry Foundation, said the foundation has agreed to donate $10,000 to the Bushy’s cause, “as this bloke needs our support”. Bushy was schooled in Clunes and played football for Clunes and is a life member of the local club. A bank account has been created with the help of the Bendigo Bank, Clunes and Creswick Community Branches. If any organisation or individual can help in any way the Clunes community would be most appreciative. Auction items and donations will all be gratefully accepted. For more information contact John Drifa on 0427 434 233 or Barb Adam 0439 600 760.